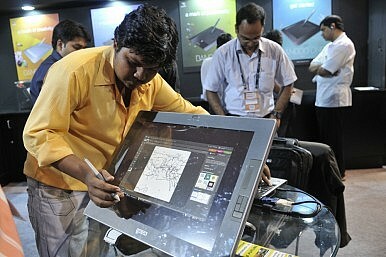 Can India Build Its Own Silicon Valley? Following up his “Make in India” clarion call last year, India’s Prime Minister Narendra Modi, in his Independence Day address this year, called upon the country’s youth to “Start Up India.” The idea was to spur an entrepreneurial revolution in India, aimed at creating jobs and innovation. This might not seem like the right time for such a slogan. China’s currency devaluation and consequent stock market slide last month sent jitters across the global economy. The Indian rupee lost around 4 percent of its value and GDP growth estimates have been trimmed. But if India wants to build its own Silicon Valley, now is probably the right time. It has the population for it, with two-thirds of its people within the working-age bracket and producing a whopping 1.5 million engineering graduates annually. And with China’s economy slowing, much of the world’s hope for future economic growth now rests on countries like India. Per capita income is still at only $1600, compared to China’s $7600, leaving India with substantial room to grow further. CHANDIGARH: Coming to the city for the first time after becoming the Prime Minister, Narendra Modi will inaugurate the new international terminal of the Chandigarh airport and hand over the keys to selective allottees of the Sector 63 housing scheme of the Chandigarh Housing Board (CHB). Srinagar: Two militants and two army jawans killed in an ongoing encounter in Rajwar area of Handwara in north Kashmir. The Pakistan army chief, Gen Raheel Sharif, has undermined Nawaz Sharif’s image. NAWAZ SHARIF seems fated to have an adversarial relationship with his army chiefs. 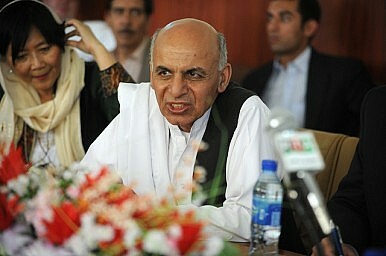 He was first elected to office in 1990, heading an army/ISI-backed alliance of Islamist parties. Sharif was soon at loggerheads with his army chief Gen Asif Nawaz, who died in mysterious circumstances. General Asif’s successor, Gen Waheed Kakar, duly sacked Sharif in 1993. In his second term, Nawaz chose to force his soft-spoken and professionally respected army chief Gen Jehangir Karamat to quit. He then superseded several senior generals and appointed a ‘Muhajir’, Pervez Musharraf, to succeed Karamat. Musharraf was joined by Sharif in leading Pakistan to disaster and diplomatic disgrace, following an ignominious defeat, in the Kargil conflict. In the blame game and melodrama that followed, Musharraf overthrew, incarcerated and exiled Sharif. The sixth Regional Economic Cooperation Conference on Afghanistan was held in Kabul last week. The purpose of this two-day summit was to examine the challenges of rebuilding Afghanistan after years of conflict. Even with representatives from 30 countries and 40 international organizations in attendance, India was conspicuous by its rather low-profile representation. Instead of a ministerial presence, New Delhi decided to send a junior bureaucrat to the conference. Though India’s ambassador to Afghanistan has rejected suggestions that New Delhi is heading for a strategic shift in relations with Kabul, India’s decision not to revive the Strategic Partnership Agreement signed in 2011 is being viewed as a sign of New Delhi’s displeasure over the Afghan unity government’s outreach to Pakistan at the cost of Indian interests. This shift comes at a time when regional realities in South Asia are becoming stranger by the day. Pakistan continues to insist that it is still ready to facilitate the revival of stalled peace talks between the Afghan government and the Taliban. Pakistani National Security Advisor Sartaj Aziz met with Afghan President Ashraf Ghani last week to “restore trust and confidence between the two countries,” but it is unlikely to placate the growing anti-Pakistan sentiment in Afghanistan. The increasing army presence to defend the construction of a controversial Salween river dam in southeastern Myanmar’s Shan state has sparked heightened concerns among rural villagers, who are determined to fight the development that threatens their livelihoods. “The Burma army tanks are even moving there, but we are not afraid because we have nothing to lose. 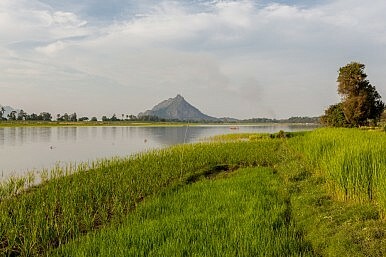 If the dam goes on, our farms will be underwater and we will lose everything,” said Khur Hseng, a Shan member of the Shan Sapawa Environmental Organisation, a civil society group that banded together in 2012 to defend the local environment and land rights. Despite its recent economic troubles, the People’s Republic of China is likely to be the only peer level competitor to the United States over the next fifty years. While a conflict is unlikely—a Third World War is in nobody’s interests—the United States must be prepared for such an eventuality. As with all modern conventional wars, airpower and air superiority will play a key role. For the United States, the stealthy Lockheed Martin F-22 Raptor will be America’s premier weapon to ensure dominance over the skies until it is eventually replaced by whatever comes out of the U.S. Air Force’s F-X program. The most direct Chinese analogue to the Raptor is the Chengdu J-20. How would such a jet fair against America’s best? Not much is known about the Chinese jet—it might not even be a fighter in the traditional sense of the word. It could be a specialized aircraft that is specifically designed to attack the sinews of U.S. power projection capabilities in the Western Pacific as part of an overall Chinese anti-access/area denial strategy (A2/AD). Basically, the jet might be optimized to hit support assets like tankers, AWACS, JSTARS or even carry long-range cruise missiles to attack scattered U.S. bases and aircraft carriers in the region. Professor Shi’s image of an army on the march, carefully consolidating its position after new territory is gained, is only the latest in a long line of metaphors used to depict China’s recent expansion in maritime East Asia. Most are products of American minds. They range from the sartorial to thesalacious. Some, like “salami slicing,” are standard terms used by political scientists for decades. Many will doubtless serve as fodder for future scholars seeking to understand both the observers and the observed. Secular Stagnation: The Dismal Fate of the Global Economy? Larry Summers has suggested that the U.S. economy is mired in a permanently lower trajectory of growth called “secular stagnation.” This assertion is not without merit, and there have been loud expressions of both agreement and disagreement. Using his newly acquired ability to blog, Former Federal Reserve chair Ben Bernanke came out staunchly against the notion, but the U.S. economy itself has produced little evidence to counter Summers’ theory as of late. The debate rages on. For Bernanke, Summers’ argument fails by ignoring the international aspects of U.S. economic growth. But the deterioration in China and emerging world economies may begin to reduce the overall forcefulness of this objection. Bernanke may have been correct to critique Summers’ lack of international perspective. However, secular stagnation may be much more than a U.S. phenomenon. The entire global economy appears to be slipping into a much slower growth mode. Discussing U.S.-China relations is almost a recipe for misunderstanding, even among people who ostensibly speak the same language. Some misunderstandings are deliberate to discredit the advocate; some are simply inadvertent because of the emotional charge of the issue. The United States and China once cooperated and saw each other as useful strategic partners, but much of that changed after end of the Soviet threat and Beijing’s violent crackdown on demonstrators in 1989. The desire to return to that kind of camaraderie, to prevent the emergence of another Cold War, and to find some way to avoid history’s repeated and tragic tale of great and rising powers coming to conflict necessarily makes the public discussion heated. The potential consequences are catastrophic. Srikanth Kondapalli, who attended China's impressive military parade last week, reports from Beijing. The People’s Republic of China’s (PRC) Eurasian frontiers have once more emerged as major factor in Beijing’s foreign policy. 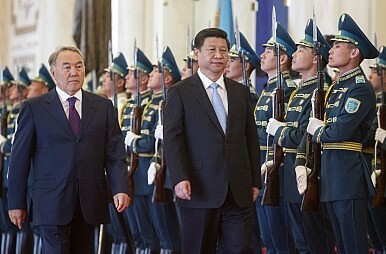 Indeed, President Xi Jinping’s recent enunciation of China’s “One Belt, One Road” (OBOR) strategy, comprising an initiative to enhance Eurasian economic connectivity through the construction of a Silk Road Economic Belt (SREB) and a Maritime Silk Road (MSR), has placed Eurasia “front and center” in China’s contemporary foreign policy. This has led some to argue that Beijing is in the process of its own “pivot” to Asia that will have far-reaching strategic consequences. Matthew Burrows and Robert Manning recently argued that this “pivot west to Eurasia seeks to turn its vulnerability – a border with fourteen nations – into a strategic asset. Together they seek to realize Mackinder’s vision of a Eurasian heartland unopposed.” The success of this Eurasian pivot may well prove to be a “nightmare” for the United States as Beijing’s economic and strategic heft attracts a weakened Russia into a partnership to stabilize and modernize Eurasia on the basis of “authoritarian state-centric capitalism.” In contrast, Jeffrey Payne responds that such fears “should be pushed aside,” as Beijing will not only have to confront a region of unpredictable and uncontrollable political forces but also latent, and mutual, Sino-Russian suspicion. The 48th ASEAN Ministerial Meetings and related meetings were held from August 4-6, 2015. 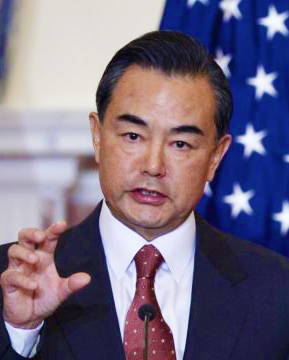 However, Wang Yi, China’s foreign minister, made the biggest impression on August 3, just before the meetings proper. He called a press conference to announce that China would keep five commitments on the South China Sea issue. These commitments are as follows: (1) maintaining peace and stability in the South China Sea, (2) peacefully solving disputes through negotiation and consultation, (3) controlling differences through rules and regulations, (4) maintaining freedom of navigation and overflight in the area, (5) gaining mutual benefits through cooperation. What do these five commitments mean for the South China Sea issue? 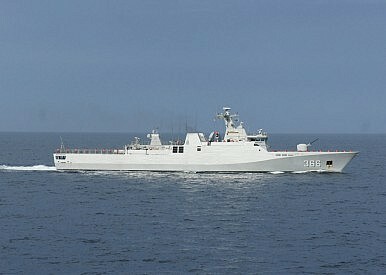 First, the five commitments developed from and improve upon China’s “dual-track approach.” This approach, which was announced in August 2014, was stated as follows: disputes will be solved by countries that are directly involved through friendly negotiations, and the peace and stability of the South China Sea will be maintained by China and ASEAN countries. At its core, the approach states that negotiations on the South China Sea disputes can be performed under a multilateral framework, and that ASEAN can be involved in the South China Sea issue. This significant adjustment to the South China Sea policy is an insightful motivation to hold consultations on a code of conduct in the South China Sea, as approved during the 2013 Suzhou conferenceon the issue. However, countless storms have occurred around the South China Sea in the year since the “dual-track approach” was announced, and thus simply highlighting these two points will be insufficient. China must completely state its position. China’s military will hold live-fire drills in the Taiwan Strait from 3 p.m. to 5 p.m. Friday through Sunday, the government announced. There were no further details given on the drills, only that they would take place off the coast near Quanzhou, a port city in Fujian province directly across the Strait from Taiwan. 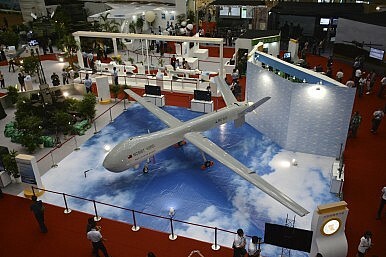 Taiwan’s Ministry of National Defense said on Thursday that it was aware of the upcoming PLA drills. Spokesperson Maj. Gen. Luo Shou-he said that the exercise was a routine part of China’s annual training. Luo said PLA ground forces in the area conduct regular artillery firing drills. The drills by the Chinese People’s Liberation Army (PLA) will begin on Friday, just as Taiwan’s own military drills come to an end. The annual Han Kuang exercises prepare Taiwan’s military to face an attack from the PLA. The exercises are held in two parts: computer-aided war games and live fire drills. This year, the computer simulations took place in May; the live-fire portion began on September 7 and will conclude on Friday. Beijing’s grandiose military parade memorializing the 70th anniversary of World War II’s end has drawn global attention, generating a lot of discussion and comments from international media and China watchers. Unfortunately much of the analysis and interpretations about the parade have been surprisingly sensationalized, superficial, and over-interpreted. There are multiple reasons responsible for this over-interpretation. One example is that people often try to connect specific occasions or policy actions with current events. However, they have forgotten that the decision to conduct such a large undertaking as the parade was made quite some time ago, so connections with current events may not exist. Many reports about the September 3 military parade claim that Beijing wanted to use the parade to distract people’s attention from the stock market and China’s economic problems. 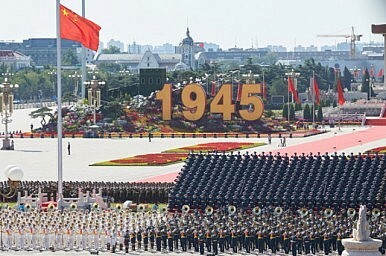 But while the military parade took place on September 3, the decision to conduct the parade was made a long time ago. It was officially announced in January 2015 and the participating troops began their training and preparations for the parade in early spring of this year. This was long before the Chinese stock market’s drop. When announcing the parade, the leadership in Beijing could not have foreseen the current stock market woes, much less the devastating explosion in Tianjin earlier this month. So any argument that the leadership used the parade to distract from the current issues is baseless. China is at a critical juncture in her economic development. After 35 years of historic growth, its economy is decelerating amid a worldwide loss of confidence in Beijing’s economic management. Beijing needs to bolster its economic growth strategy with plainly sensible programs so as to reassure those unnerved Chinese who are stashing money overseas, and spooked global investors who have reacted sharply to the negative data coming out of China. In fact, Beijing happens to be in the midst of formulating its thirteenth five-year plan, to encompass the years 2016-2020. Faith in China’s market-based economic reforms, meant to be the basic strategy for the twelfth five-year plan (2011-2015), has been shaken by the government’s poor handling recently of the stock market and exchange rate. 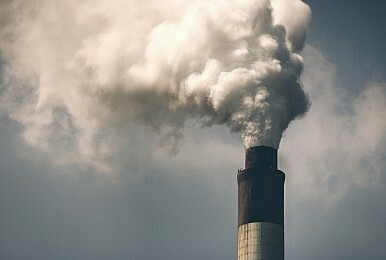 But Beijing could give new life to market-oriented reforms with a decisive program of cleaning up the environment as a quantitative easing measure, accompanied by efforts to steer consumer businesses to some of the cleaned sites, as a flagship program of the new five-year plan. China is the weapon of choice in U.S. political campaign arsenals. Candidates resort to China-bashing as a default foil of rhetorical gamesmanship. 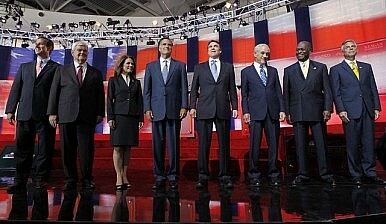 Some are manifest posturing – Bill Clinton accusingPresident George W. Bush of “coddling dictators in Beijing” and Mitt Romney declaring China as “currency manipulator”; others border on racism, recall the 2012 Superbowl ad of Michigan Republican candidate Pete Hoekstra in the U.S. Senate race. As history records, Hoekstra was vilified and lost to Democratic incumbent Debbie Stabenow. Did the Supreme Leader Cut Rouhani Down to Size? Coming off the success of the nuclear deal, Iranian President Hassan Rouhani has been flexing his political muscles in Tehran. Rouhani’s reform agenda aims to ‘fix’ deficiencies in the Islamic Republic’s political and economic system, and many hoped success in the nuclear negotiations would fuel his broader political agenda. Supreme Leader Ayatollah Khamenei, however, wants to ensure this reform program –and Rouhani’s political influence – do not get out of hand. The President has decided to pick a fight on two issues: how the regime will approve the Joint Comprehensive Plan of Action (JCPOA) and how open upcoming elections for Parliament and the Assembly of Experts (the body who will choose the next supreme leader) will be handled. Neither contest is going well for him so far. Russia has been sending military forces into Syria in recent days, Israel’s defense chief announced Thursday, as Moscow hinted at broader action to bolster President Bashar Assad’s embattled army following a string of battlefield losses. The increased Russian activity in Syria reflects Moscow’s deep concerns that its longtime ally is on the brink of collapse, as well as hopes by President Vladimir Putin that a common battle against Islamic State extremists can improve Russia’s ties with the West, strained over Ukraine. But the strategy could be risky — and unless Russia sends large numbers of troops, halting the territorial gains made by Islamic militants could prove tough. Israeli Defense Minister Moshe Yaalon told reporters Thursday that the Russian buildup appears to be limited for the time being. He said military advisers, technicians and security guards have arrived in recent days, with the main goal of setting up an air base near the coastal town of Latakia that could be used to stage strikes on Islamic State fighters. The Islamic State, or IS, published pictures of two hostages on Wednesday, labeling them as “for sale.” According to Islamic State’s online magazine, Dabiq,one of the men is a 50-year-old Chinese man, identified as Fan Jinghui. The other man was identified as a Norwegian, Ole Johan Grimsgaard-Ofstad. The pictures were accompanied by a telegram number for use by “whoever would like to pay the ransom for [the men’s] release and transfer.” The magazine warned that “this is a limited time offer,” implying that the men may be threatened with violence. Earlier this year, two Japanese hostages were beheaded on camera after the Japanese government declined to pay a requested ransom within IS’ deadline. 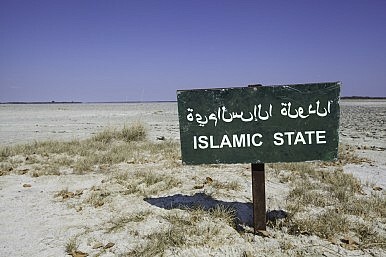 IS has also executed citizens from Australia, France, the United Kingdom, and the United States. The Kremlin isn’t sending just any troops to prop up the Assad regime. It’s dispatching units that spearheaded Russia’s slow-rolling invasion of Ukraine. Reuters confirmed Wednesday what The Daily Beast first reported last week—not only have Russian troops been deployed to Syria but they are indeed taking part in active combat operations, although against which of the manifold enemies of the Assad regime remains unclear. U.S. government sources told the news agency that two tank-landing ships, aircraft, and naval infantry forces have arrived in Syria in the past 24 hours, with the largest buildup occurring in Latakia, the northwest coastal province—ancestral home of the Assad family—which Islamist rebels have been fiercely contesting of late. Russia, Reuters confirmed, is constructing a new airfield in Latakia, which would represent its second military installation in Syria after its decades-old naval supply base in Tartus, also its only warm-water port since the end of the Soviet Union. 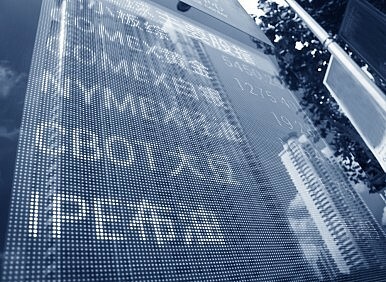 Russia's Financial System: How Vulnerable? Is the Russian economy going to collapse? Do sanctions matter? These are the two questions most often asked today about the Russian economy said Sergey Aleksashenko, the former first deputy chairman of Russia's Central Bank and a former deputy finance minister. At the Center for the National Interest on Thursday, Aleksashenko explained what the fall in oil prices, the decline of the ruble, the rise in inflation and the impact of U.S. and Western sanctions have wrought in Russia. Perhaps the most advanced threat the F-15 is likely to encounter is the Russian-built Sukhoi Su-35 Flanker-E. While there are more advanced threats in development, those aircraft are likely to be too expensive to ever become commonplace. The Su-35 isn’t the most common potential threat out there, but there is a good chance it will proliferate.Indonesia has reportedly decided to purchase the Su-35, and we know that the Chinese have had discussions about a potential purchase. America's LRS-B Stealth Bomber: Headed for a 'Crash Landing'? The earliest discussion of the U.S. Air Force’s Long Range Strike Bomber, or LRS-B, revolved around one talking point: Price. By relying on existing, proven technologies, with incremental, architectural innovation (the assembly of existing technologies in new ways), the U.S. defense industry could supply the Air Force with a next generation long-range bomber aircraft. And the price seemed, if not modest, certainly not extravagant. The LRS-B program promised eighty to 100 bombers at $550 million per plane, more expensive than the F-22 or F-35, but on the lower side of what you might expect for a replacement strategic bomber. A focus on affordability seems odd for the premier weapon system of one of the four military services of the world’s most powerful country. But the focus is not misplaced. The Pentagon as a whole has struggled with cost overruns on its major projects, and the Air Force has suffered the most. Its last three major combat aircraft projects (the B-2, F-22, and F-35) have all suffered drastic cost overruns. The predecessor to the LRS-B, the B-2 Spirit stealth bomber, went into a classic “death spiral” with only 21 aircraft eventually entering service. The expected number of F-22s dropped from 750 to 187. And while the problems with the F-35 cannot be entirely laid at the feet of the Air Force, overruns still threaten to reduce the total buy of F-35As. Cost and technology problems also extend to the KC-46, the Air Force’s replacement aerial refueling tanker. U.S.-Vietnamese relations have strengthened in the past few years, in large part due to common concern over China’s increased aggression in the South China Sea. But some parts of the relationship have progressed slowly—confirming China’s belief that it can continue bullying Vietnam as part of its push for regional control without sparking serious backlash. Indeed, China recently parked another oil drilling rig in Vietnamese waters, and just last week, it extended the rig’s operations for several months. But this latest provocation, together with China’s announcement last week that it will shift more resources towards its naval and aerial capabilities, may motivate the United States and Vietnam to develop several key elements of their burgeoning partnership. The Department of Defense plans to complete the establishment of a new Cyber Mission Force made up of 133 teams of more than 6000 “cyber operators” by 2018, and it’s already nearly halfway there. From FY2014-2018, DoD intends to spend $1.878 billion dollars to pay for the Cyber Missions Force consisting of approximately 6100 individuals in the four military services, DoD said in response to a question for the record that waspublished in a congressional hearing volume last month. “This effort began in October 2013 and today we have 3100 personnel assigned to 58 of the 133 teams,” or nearly 50% of the intended capacity, DoD wrote in response to a question from Rep. Rick Larsen (D-WA) of the House Armed Services Committee. The response was included in the published record of a February 26, 2015 Committee hearing (page 67). The reinforcement of the airport shows that Moscow is preparing to deploy aerial assets to Syria, if it has not already done so. To sustain an overseas presence, Moscow must establish a sustained logistical connection and have forces in place to defend it. In this case, Russia is looking to establish an air bridge, with everything that entails. Stationing Russian aerial assets — such as fighter jets and attack helicopters — inside Syria is a clear escalation of Moscow’s involvement in the country. Russia’s previous involvement was limited to the transfer of equipment, spare parts and weaponry to the Syrian government and the provision of intelligence support. WASHINGTON—The U.S. intelligence chief said Wednesday that the government is designing a secret way to monitor Iran’s compliance with a pending agreementaimed at curbing its nuclear program, which will go beyond scrutiny from the International Atomic Energy Agency. “We are fielding some independent capabilities, which I can’t go into…that will enable us to have good insight into the nuclear industrial enterprise of Iran, if I can call it that,” U.S. Director of National Intelligence James Clapper said at a Washington conference called the Intelligence and National Security Summit, without offering any details. Mr. Clapper, who has spent more than 50 years working in a variety of government intelligence posts, stopped short of predicting whether the Iranian government would abide by the nuclear agreement, which the White House and five other world powers brokered with the Iranians. But he said the U.S. and others would likely know if Iranians didn’t comply with a range of limits on its nuclear program. “I come away pretty confident, I won’t say 100%, should never say that… that we can verify from our own sources” and the IAEA “to observe and monitor what the Iranians are doing,” Mr. Clapper said. Russian Hackers Using Commercial Satellites to Steal Data from Diplomatic and Military Targets in U.S. The group, which some researchers refer to as Turla, after the name of the malicious software it uses, also has targeted government organizations, embassies and companies in Russia, China and dozens of other countries, as well as research groups and pharmaceutical firms, said Stefan Tanase, senior security researcher at Kaspersky Lab, a Moscow-based cybersecurity firm with analysts around the world. Turla has used this technique for at least eight years, which reflects a degree of sophistication and creativity generally not seen among advanced hacker groups, Tanase said. While the Kremlin continues to score plenty of tactical victories in the political sphere, the regime has demonstrated no ability to think strategically. The lack of strategic thinking stems from the elites’ desire to preserve their own power and the whims of an authoritarian political system. The first half of 2015 demystified several key characteristics of the Russian regime. While the Kremlin continues to score plenty of tactical victories in the political sphere, which help sustain President Vladimir Putin’s sky-high popularity, the regime has demonstrated no ability to think strategically—let alone to establish clear, achievable goals or to offer a model of what the future should look like. The lack of strategic thinking stems from the elites’ desire to preserve their own power and the whims of an authoritarian political system that imitates democratic niceties while using its sprawling propaganda apparatus to stoke aggressive nationalism. Any sanctions against Chinese entities will not halt China’s global online espionage activities. Efforts to curb cyber espionage will further fragment the Internet’s regulatory environment. Ahead of Chinese President Xi Jinping’s visit to Washington at the end of September, the White House reportedly is ready to announce sanctions against Chinese entities allegedly involved in industrial espionage. The specific targets of the sanctions have not been revealed, but the sanctions will likely focus on the use of cyberattacks to siphon intellectual property and trade secrets. The planned sanctions follow U.S. President Barack Obama’s executive order authorizing the Treasury Department to seize the assets of and bar financial transactions with entities engaged in cyberattacks. The timing of the announcement, so close to Xi’s visit to the United States, will likely anger Xi’s constituents, who will see it as an attack on China’s image during a presidential tour. Thus, the White House’s sanctions serve as a gesture to China but also to Obama’s domestic audience, which has grown more concerned about Chinese espionage in light of high-profile cyberattacks against U.S. businesses and government interests. The plight of migrant workers in South Korea is steadily receiving more attention in popular media, suggesting that social and political changes are afoot. Reading uncritical articles from the English-language Chosun Ilbo might lead some to believe that the influx of migrant workers and immigrants in Korea is creating a vibrant, multicultural Korea. A “Korea Sparkling,” or something of that sort. 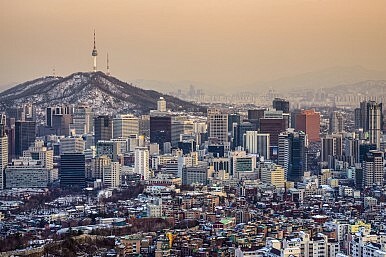 Starting in the late 1980s and early 1990s, the South Korean state began accommodating the demands of business, particularly small and medium-seized enterprises, by permitting an influx of migrant laborers. The effect, likely unintended, has been a slow but certain demographic transformation. South Korea has gone from an ethnically homogeneous society to an increasingly multiethnic one (with implications for nationhood abounding). According to data from the Ministry of Government Administration and Home Affairs, the foreigner population has risen to 3.4 percent. This shift has also created a new underclass in Korean society: migrant workers. 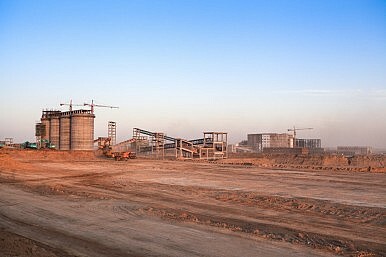 In early September, Reuters reported that Mendsaikhan Enkhsaikhan, one of Mongolia’s lead negotiators on the $4 billion deal with a consortium to develop the mine, said that the likelihood of Mongolia’s parliament approving the deal had fallen dramatically. “When we submitted the proposed agreement for the Tavan Tolgoi coal mine project, I said there was a 50-50 chance for approval,” said Enkhsaikhan, the minister in charge of Mongolia’s so-called “mega projects”. “At this moment, it’s less than 10 percent that it will be approved by parliament and will be implemented,” he said. When Should the 9/11 War End?